Many people go through life suffering knee pain day after day. They take medication, spend hours in physical therapy and walk with the aid of a cane. All because they are afraid of knee surgery. While knee surgery can be a daunting prospect, living with daily pain and being restricted in activities is no picnic either. Every year more than 600,000 people have knee replacements and more than 90% experience an improvement in their condition. 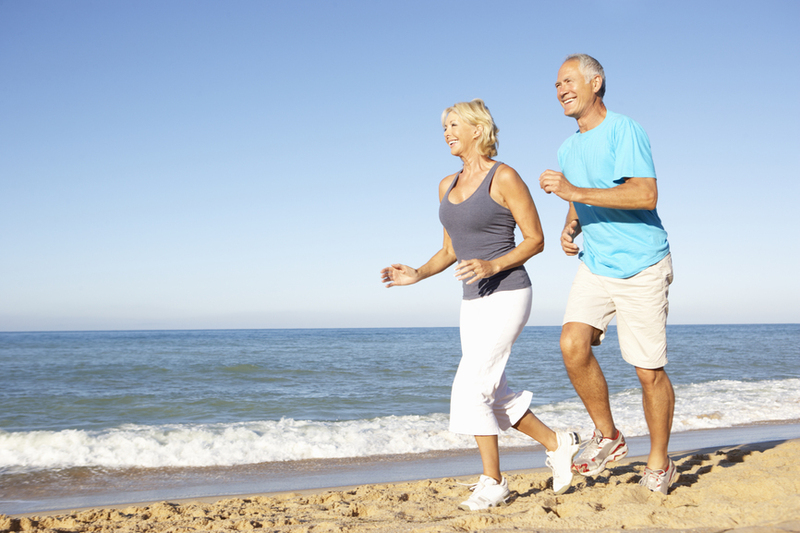 When considering a knee replacement, focus how not getting it done affects one’s daily lifestyle? Without surgery, pain will continue to be felt first thing one feels in the morning. While other people make their way to the bathroom with a bounce in their step and a whistle on their lips, those with bad knees will get there limping and groaning in pain. By the same token, while some people can go to bed and fall asleep almost instantly, there’s no such comfort for those who have bad knees and avoid surgery. The pain keeps them awake and has them tossing and turning. It’s not unusual for sore knee sufferers to get up several times at night and pace around the house to find relief of the pain. Yet while limited walked might bring relief of the pain, too much walking will cause knee discomfort. By avoiding knee surgery, people will bad knees miss out on playing games with children or grandchildren, shopping trips with friends, or relaxing walks in the park. Going up or down stairs is a particular problem, and while most place are equipped with elevators and/or escalators, there are still places that requires climbing stairs to get to a destination. After such exercises people with a sore knee might feel a “grating” of their knee, or might experience a stiff and swollen knee. It’s not uncommon that for some time after walking or climbing stairs, people are unable to bind their knee. Those who like to exercise in the morning will be limited during their activities or give up on workouts altogether. Without knee surgery, knees will continue to ach during and after training. More so, sore knees might limit someone in mobility. Sitting for extended periods of time can be agony for those with sore knees. They can no longer enjoy long car trips, visits the cinema or theater or enjoying a three course meal in a restaurant. While medication helps relief pain, extended use of pain relievers might have an effect on various internal organs, causing different problems. Having to rely on pain medication all the time is in itself a problem as these pills are often forgotten when going out or unavailable in foreign countries. Rainy weather is likely to make knee pain more severe. In all probability, people with sore knees know rain is coming before the first clouds appear. If this sounds all too familiar, perhaps it’s time to discuss knee surgery with a doctor and when in doubt consider the pain that affects one’s daily lifestyle. All will come to the same conclusion, having knee surgery is a step in the right direction.